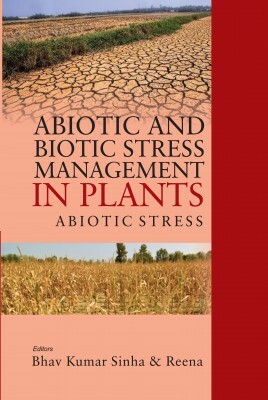 This book deals with an array of topics in the broad area of abiotic stress responses in plants focusing “problems and their management” by selecting some of the widely investigated themes. Such as, Cell signalling in Plants during abiotic and biotic stress, Salinity stress induced metabolic changes and its management, High temperature stress: responses, mechanism and management, Low temperature stress induced changes in plants and their management, Biotechnological approaches to improve abiotic stress tolerance, Nutritional poverty in wheat under abiotic stress scenario, Strategies for improving soil health under current climate change scenario, Abiotic stress management in Pulse crops, Mitigation strategies of abiotic stress in fruit crops, Impacts of abiotic stress and possible management option in vegetable crops, and Abiotic stress: impact and management in ornamental crops. This book is useful for under-graduate and post-graduate students in Plant Physiology, Biochemistry, agronomy, horticulture, Botany, Environmental sciences and other cognate disciplines of agriculture and allied sciences and other research workers. We fervently believe that this book will provide good information and understanding of abiotic stress problems and their management in plants.